I am seriously obsessed with this outfit! And, everyone I come in contact is obsessed with the handbag! See original post here. Thank you again to Torrid, who gifted me the outfit for a post!! And, of course it was the perfect outfit for a company photo at Aloft - you see me?! This was taken 2 days ago, note short hair, but the others below were taken on another one of the 30 or so times I've worn this outfit since I got it. And the blazer? Ok, I wear a LOT of blazers and trust me when I say, if you love blazers, YOU MUST GET THIS ONE. MUSSTTTT!! So go buy the blazer and handbag and have a great weekend! Here's how to get my entire outfit at Torrid! 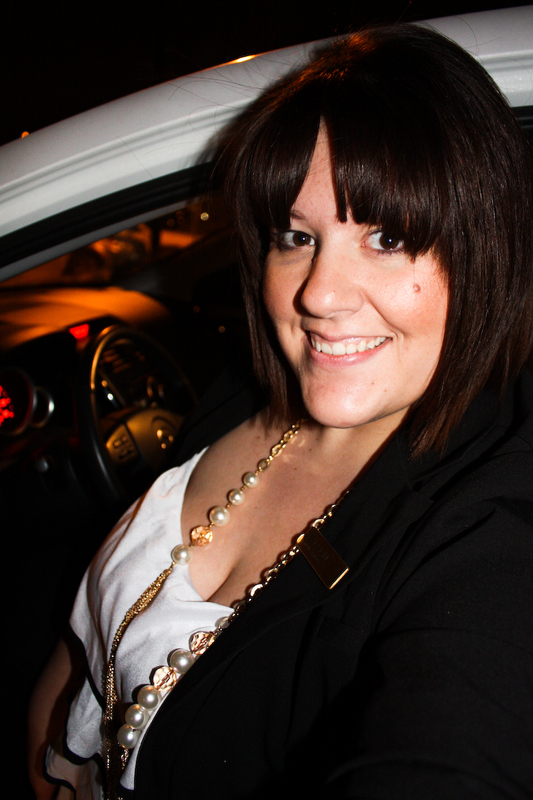 Gold necklace: Was a clearance find at Lane Bryant forever ago. The best team anyone could ask for! Congrats to Aloft Portland, received top 10 trendiest hotel in the WORLD by Tripadvisor. Pictured are operational staff of Aloft and the sales team and marketing department ( ME!!! LOL). 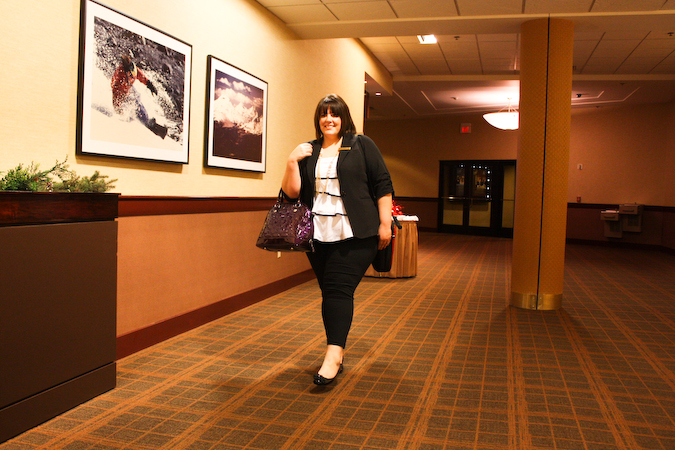 Walking through the hall at Sheraton Portland Airport Hotel - one of the hotels under the Pollin Hotel Group - of which I am the Marketing Manager for.